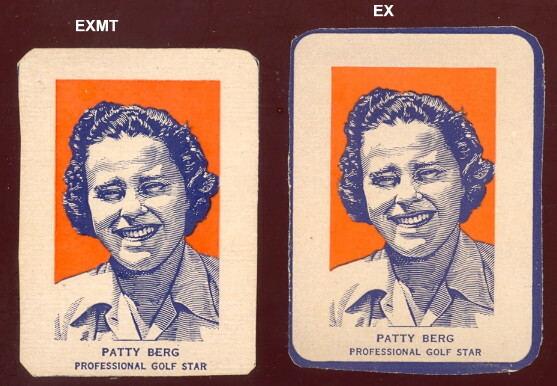 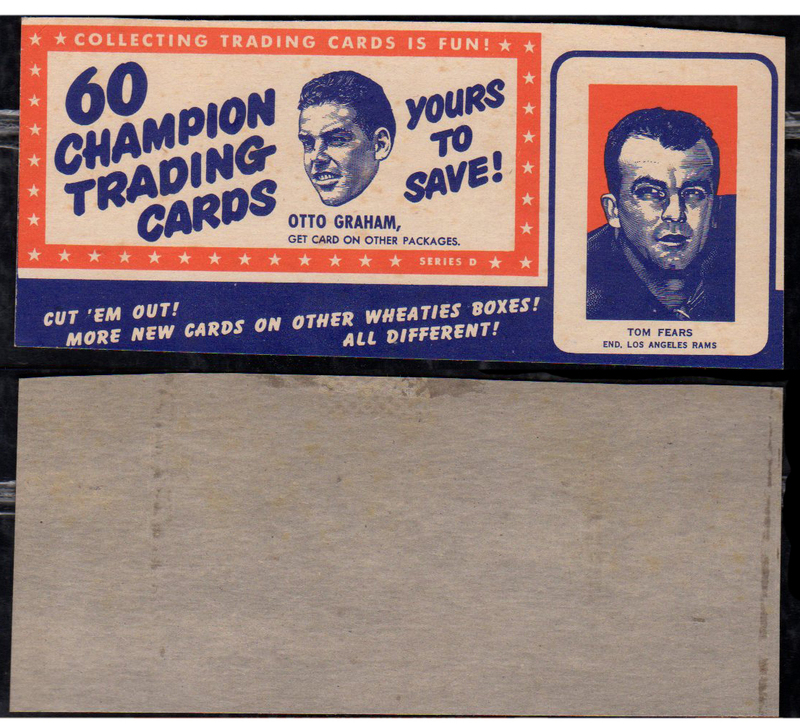 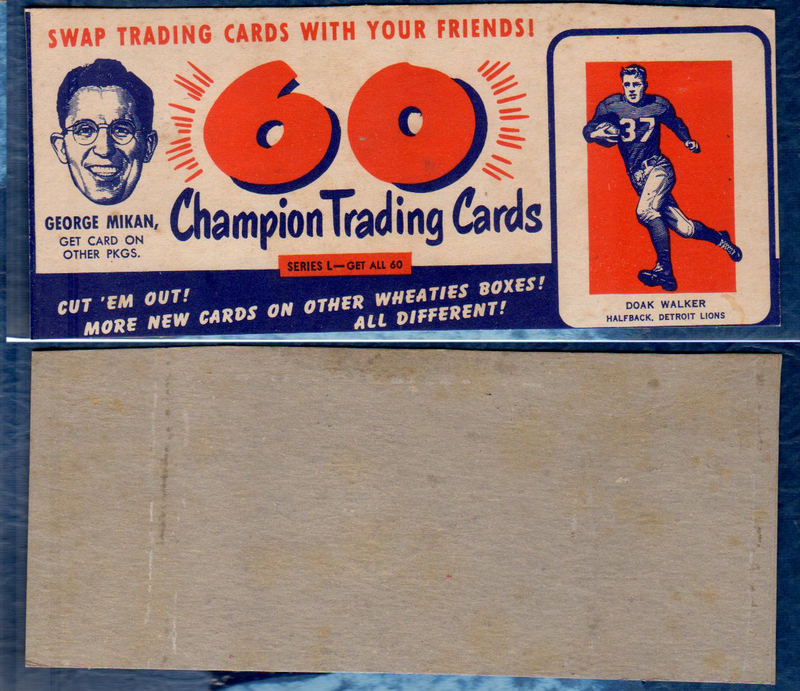 These cards were cut off of the backs of cereal boxes by kids, so the cuts were not always exact. 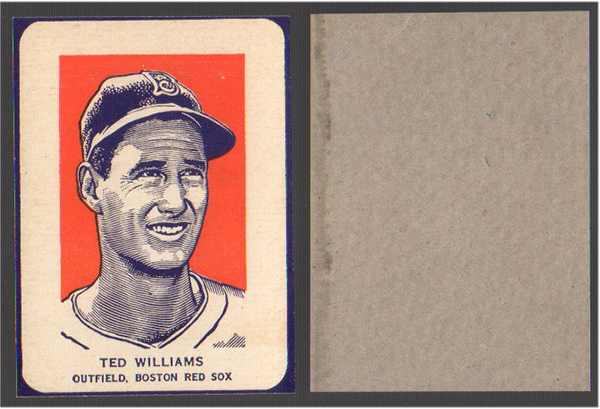 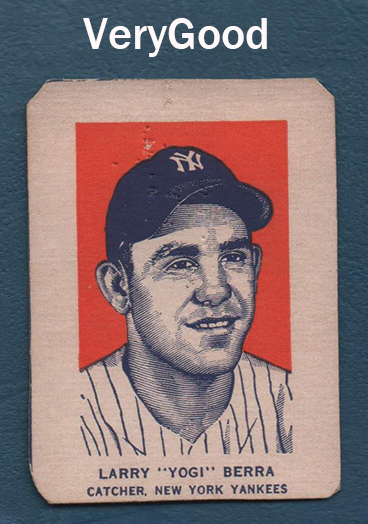 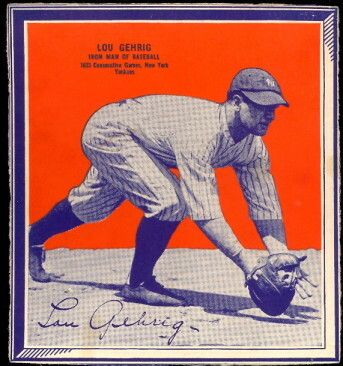 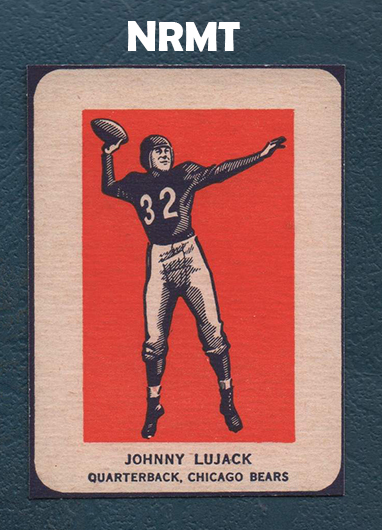 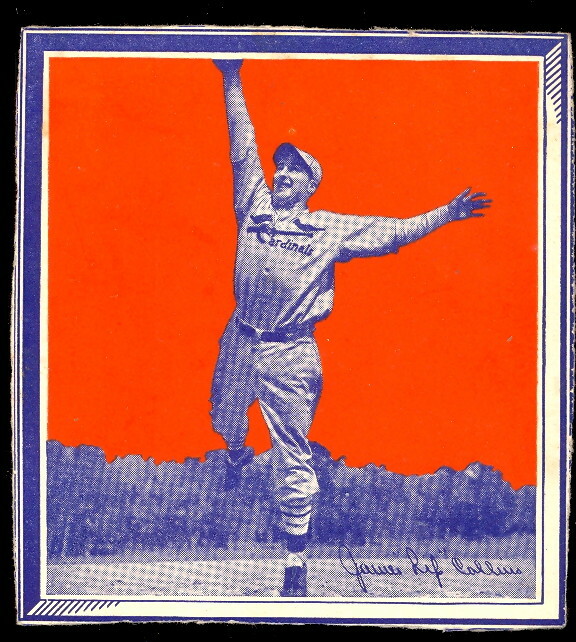 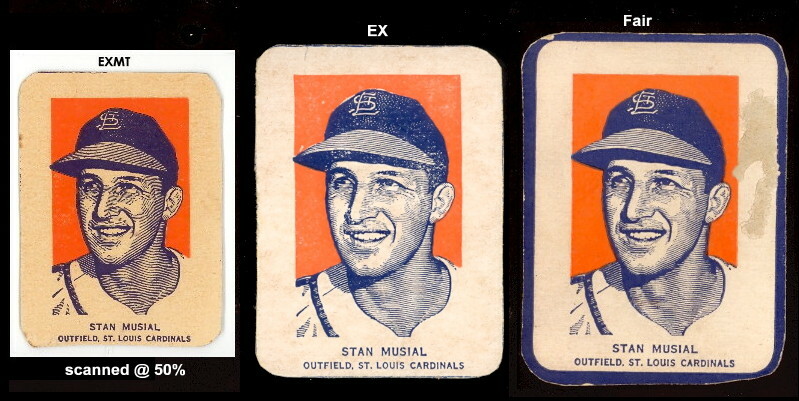 On this page we are presenting cards from the mid 30s, and then all the way up to 1952. 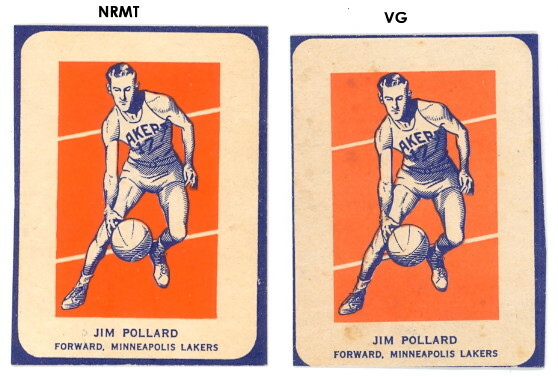 Cards from 1935 & 1936 are described as follows in the Lemke Catalog: "The unnumbered cards measure 6" x 6-1/4" with frame, and 5" x 5-1/2" without the frame. 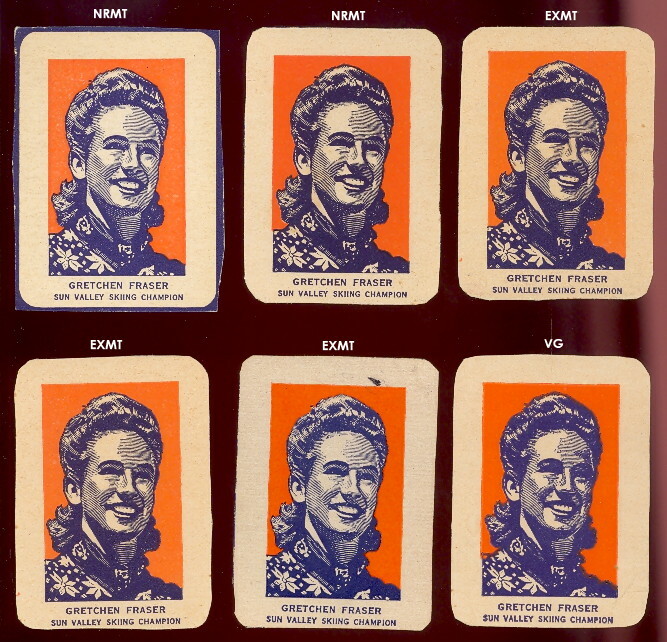 So, one must assume that is is fairly common for these to be found without the frame." 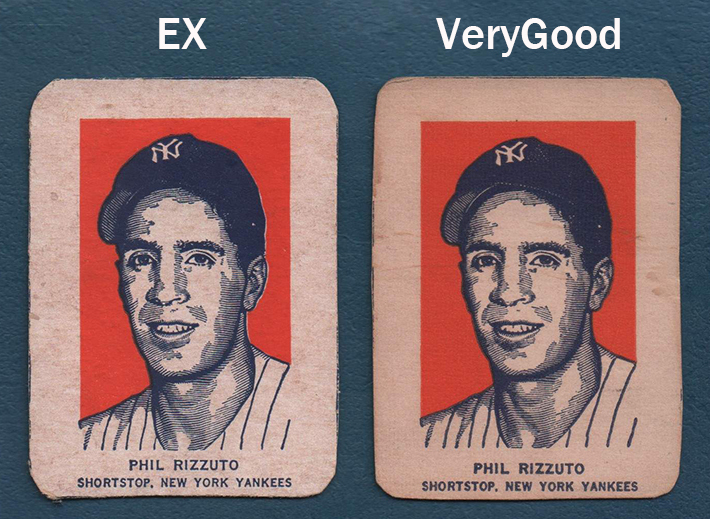 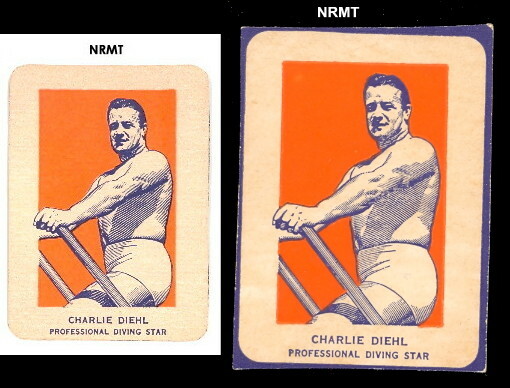 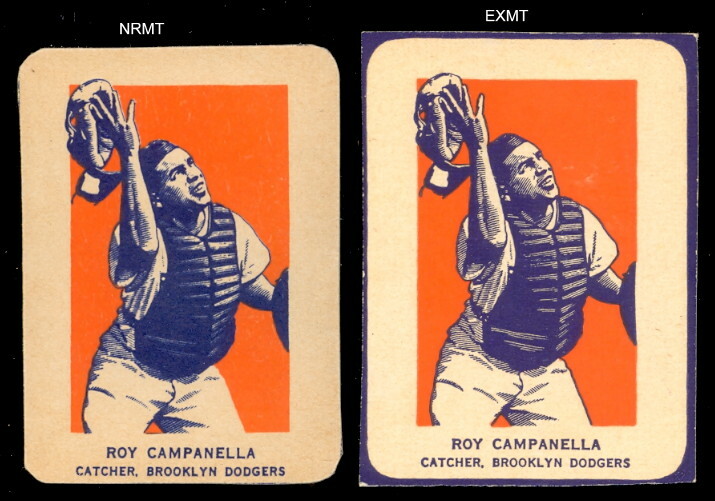 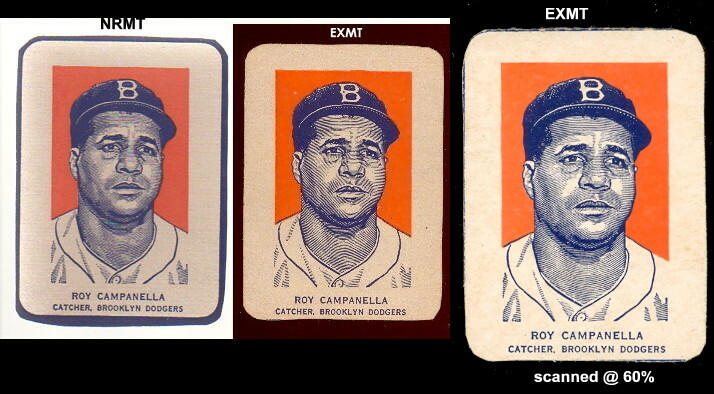 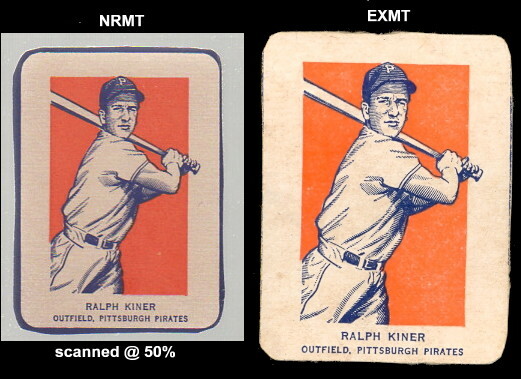 The cards on this page fall in-between, they have partial frames on them as you can see by the scans, and I have lowered the grades on them based on the cut. 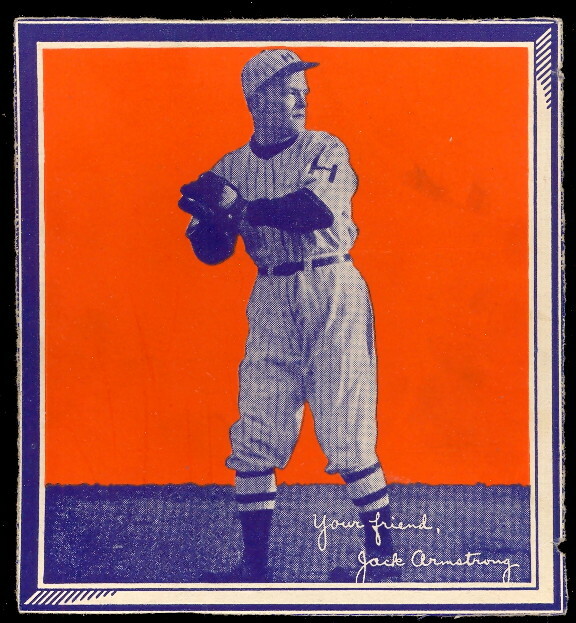 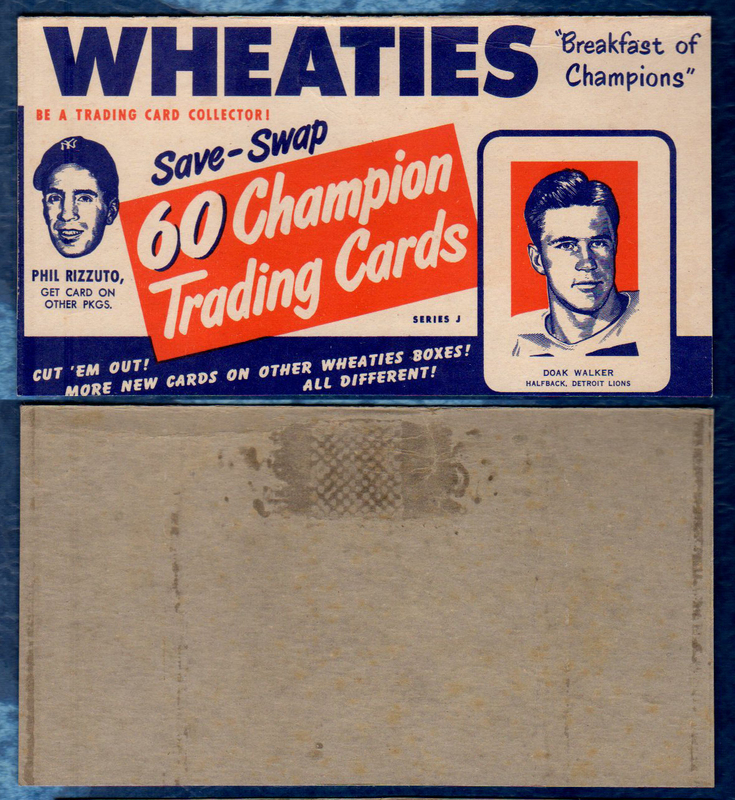 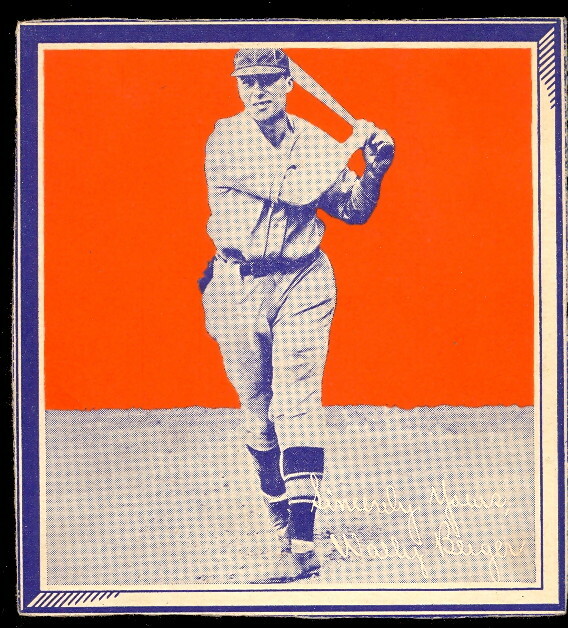 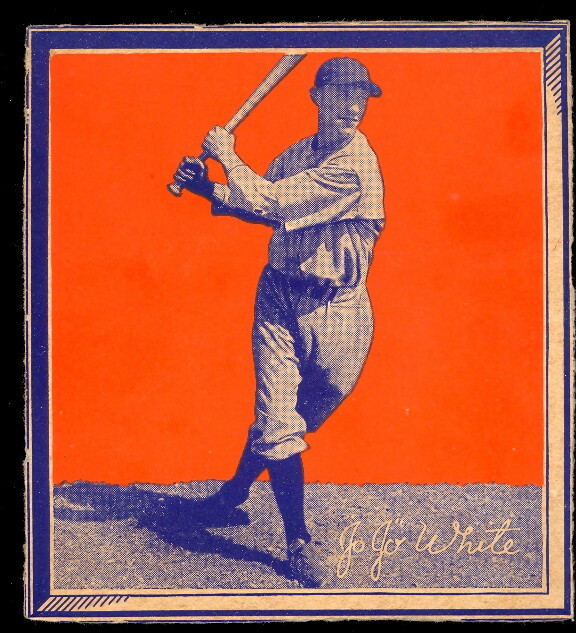 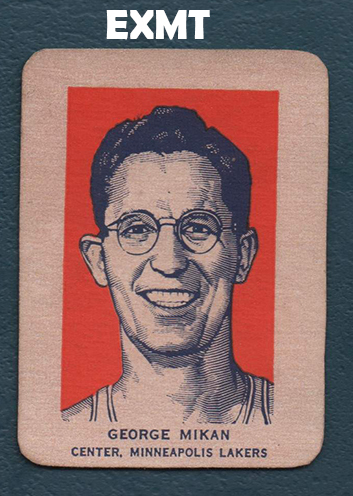 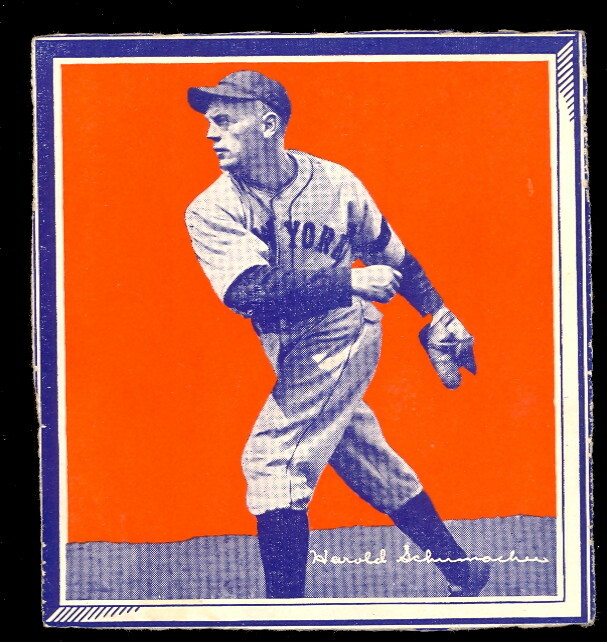 The 1939 Wheaties - Series 12 consists of 9 players and are known as "Personal Pointers". 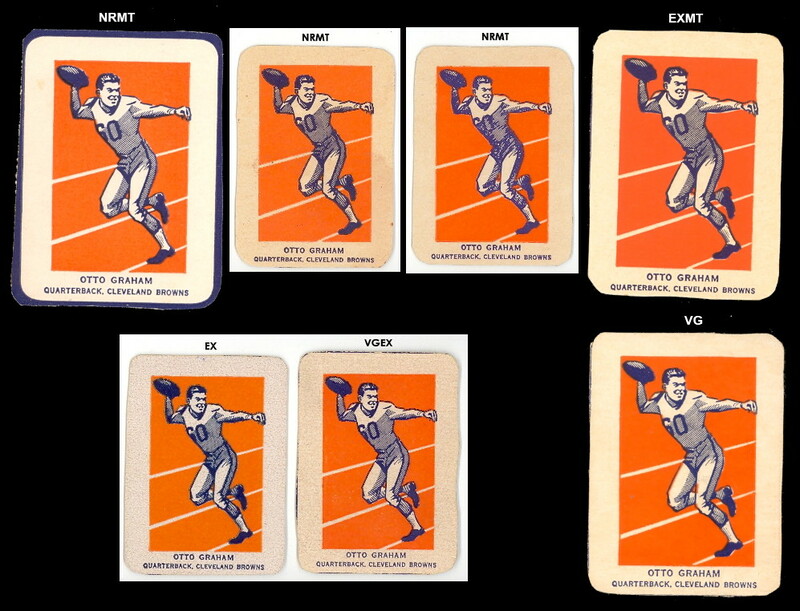 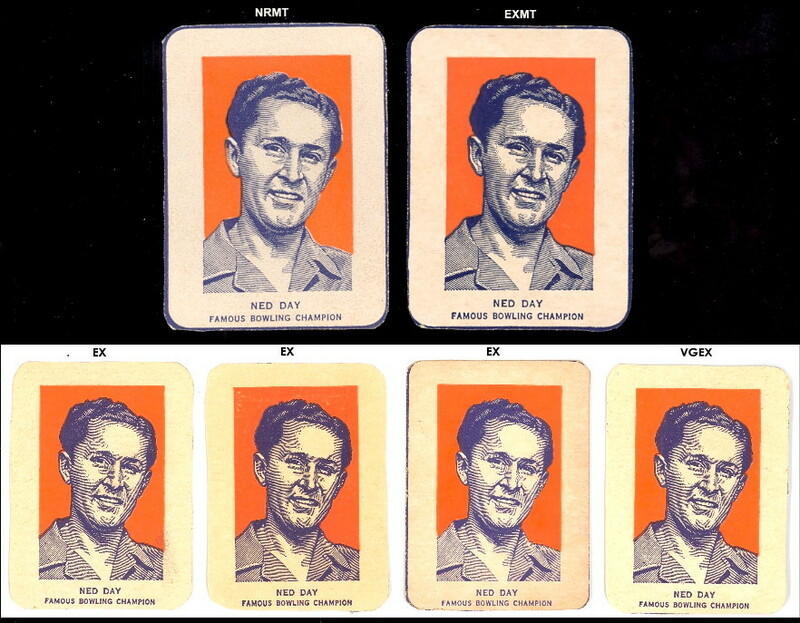 They feature an instructional tip along with a player photo and measure approx. 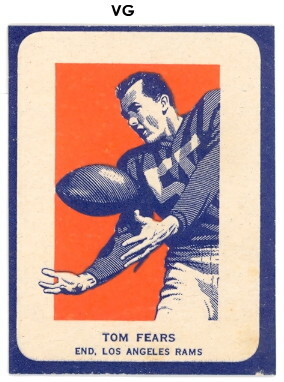 8-1/4" x 6". 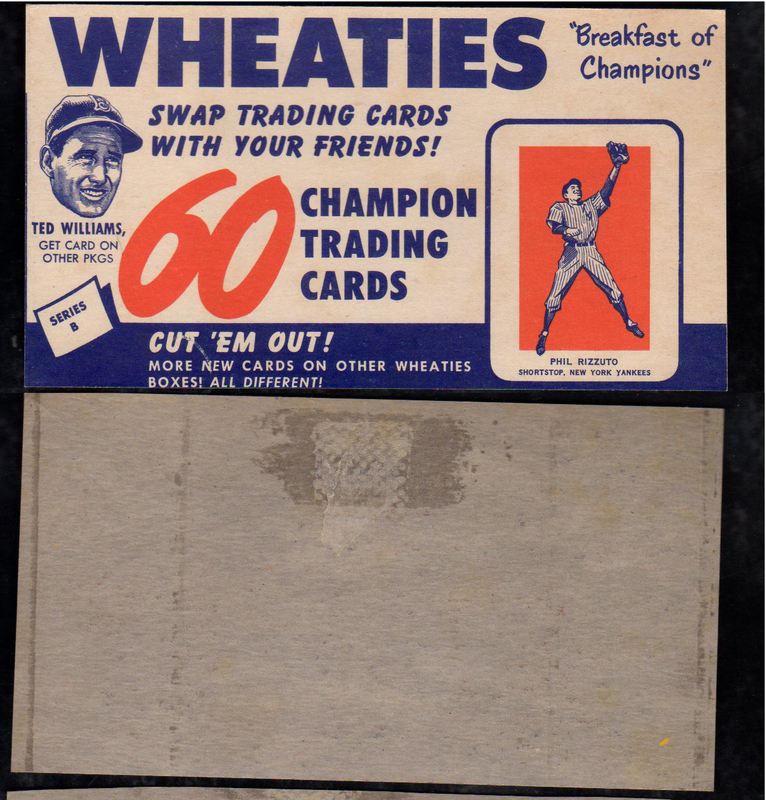 The Wheaties from the 30s are baseball players only, below in 1952 we have wheaties from all sports. 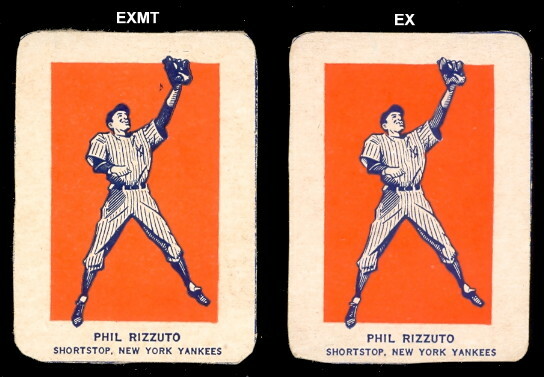 We just broke a complete set of these cards! 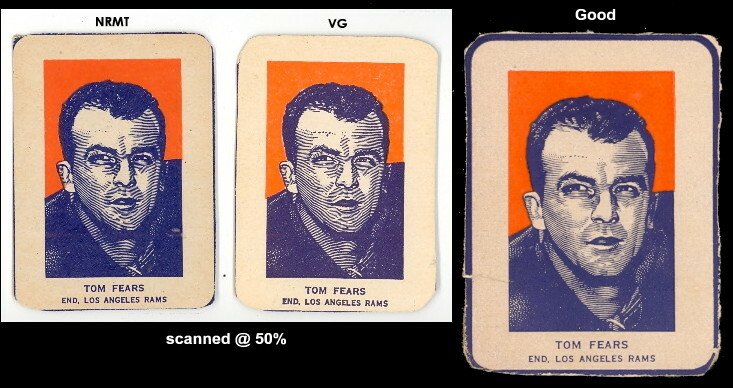 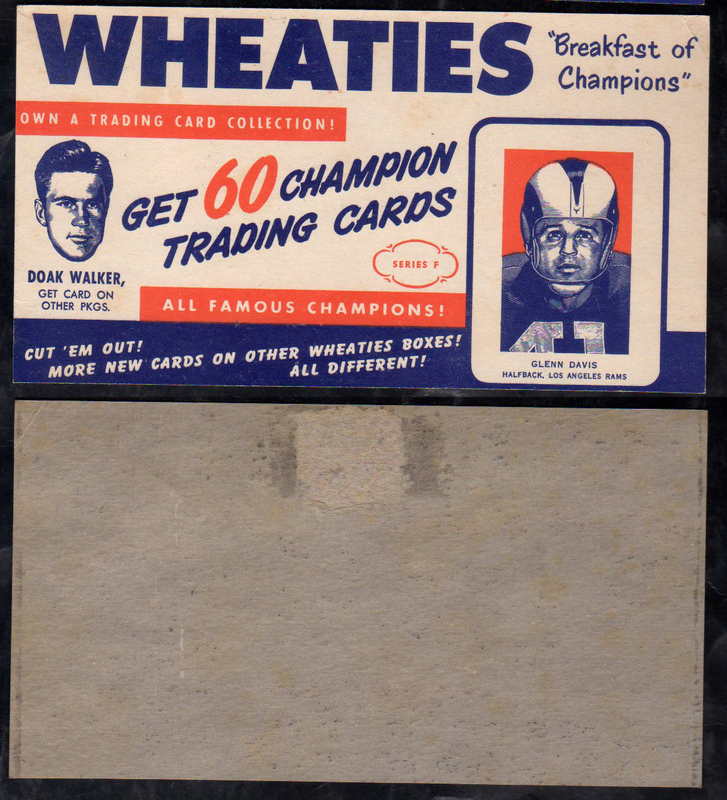 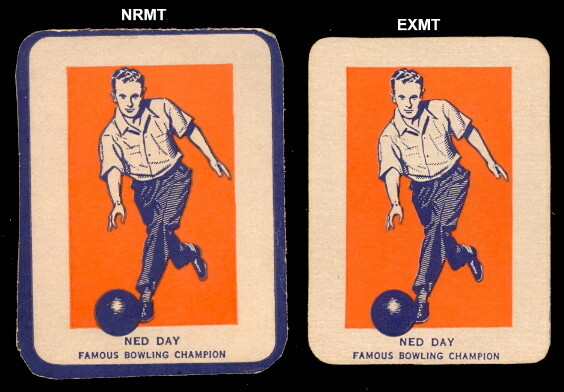 These 2" by 2-3/4" cards appeared on the back of the popular cereal boxes. 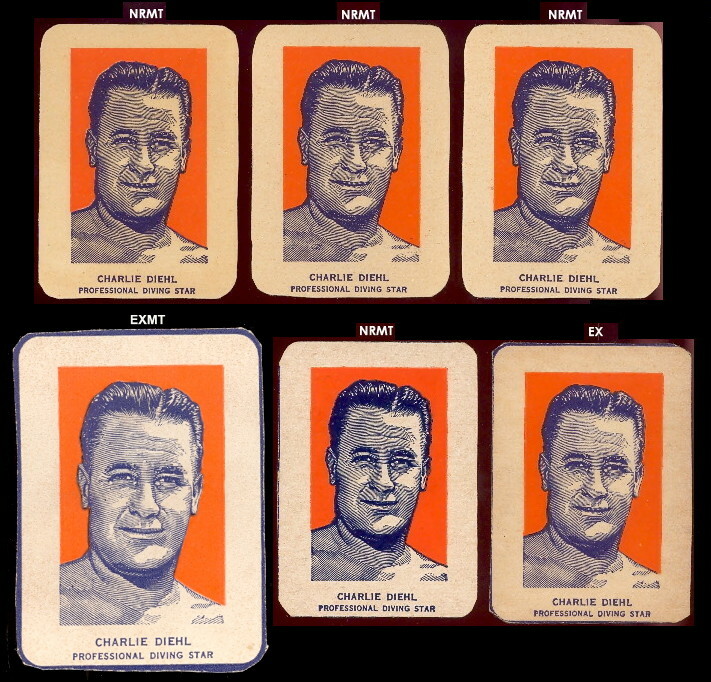 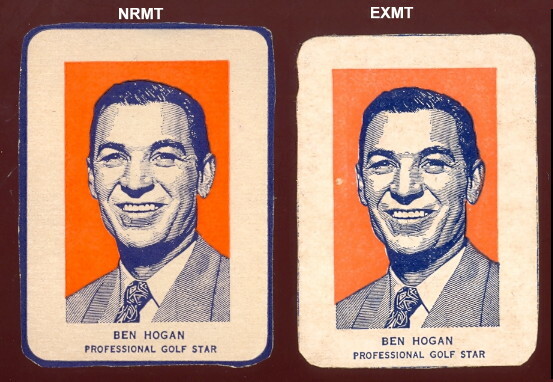 In 1952 of the 30 athletes depicted, 10 were baseball players with a portrait, and action pose. 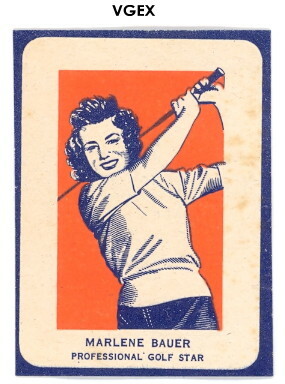 There are also basketball, football, golf, bowlers, ski, tennis, and divers available.